On Time Catering has served nearly every citizen of Davidson County at some point in their lives. 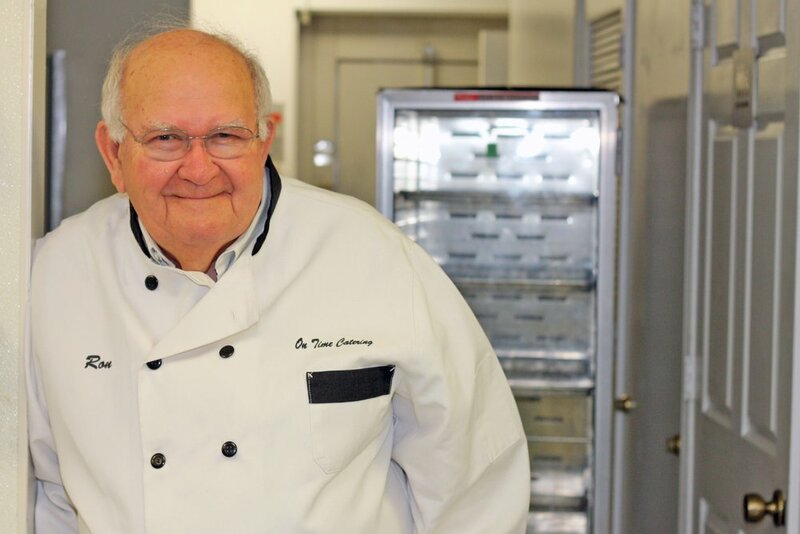 Many Lexingtonians will remember Berrier’s Restaurant, where Ron started his culinary career serving “meat and three” plates to families from all walks of life. In 1995, he decided to close one chapter and open a new one… On Time Catering. Since then, he’s been joined by his son, Wesley. Together they have built a successful business that is founded on a deep passion for serving high quality food that is artfully displayed, a deep commitment to excellent service, and a dedication to the communities and people they serve. We are also proud to work with local agencies and governments to provide nutritious and hot meals to senior citizens through Meals on Wheels, and children through Head Start and child care programs. A Lexington native, Ron started his career in the food service industry as a teenager working as a curb-boy at The Barbecue Center on Main Street in Lexington. Following high school, he joined the US Army and worked in the mess hall at an Army base in Korea. It was there that he began his journey in the food business. As owner and operator of Berrier’s Restaurant, Ron learned the opportunities and challenges of the restaurant business. Back in the 1980s, Berrier’s became known as one of the few restaurants in Lexington that did not serve barbecue (for which Lexington is best known). It was also the first restaurant in Lexington to have a full salad bar… a novelty for a small town in those days. Today you’ll find Ron frequenting local restaurants where everyone knows his name, or in his office ready to greet visitors who stop by the On Time Catering offices to chat. Wesley joined his father in the business in early 2000. He has added his special touch and helped to grow the business to the success it is today. As the proud father of three energetic sons, he knows the meaning of hard work. In the kitchen, he is guiding the hustling staff, meticulously preparing delicious meals, and ensuring every detail and order is in place.